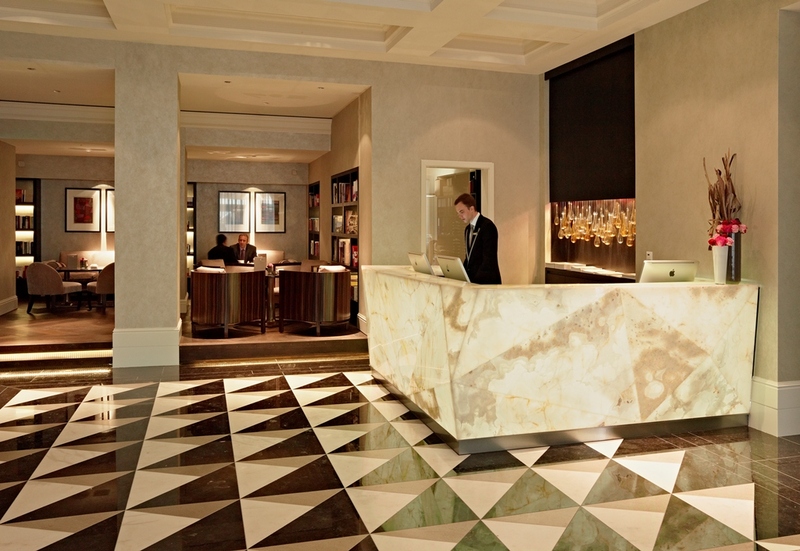 The 5-star superior Hotel Schweizerhof Bern opened more than 150 years ago and after its renovation in 2011, it impresses once more with noble design and historic charm. Behind the landmarked façade of this luxurious hotel you find 99 comfortable rooms and suites as well as elegant event areas. 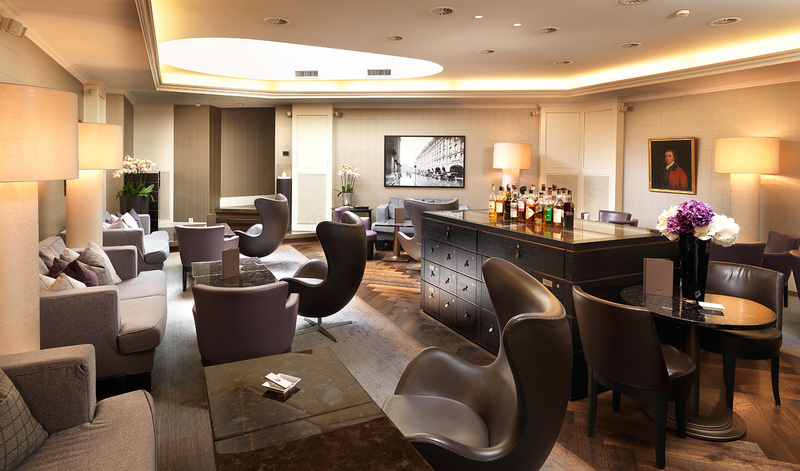 Further highlights of this long-standing hotel are its extensive SPA area, the Sky Terrace with panoramic view over the capital city, the comfortable Lobby-Lounge bar & Cigar Lounge as well as the legendary Jack´s Brasserie. It is not surprising then that locals, tourists and business travelers have always liked being guests at the Schweizerhof. If you want your private or business occasion to shine in the right light, you can use the salon Trianon. The 350 m2 ball hall is the heart of the Bel Etage and an elegant space for your individual event, no matter if you plan a birthday celebration, a wedding or a general meeting. The three additional salons can be combined so that they offer space for 450 guests. While our four elegant salons are great for larger and festive business events, the modern spaces inside the business center are ideal for smaller groups from 2 to 14 people which want to work in concentrated atmosphere. 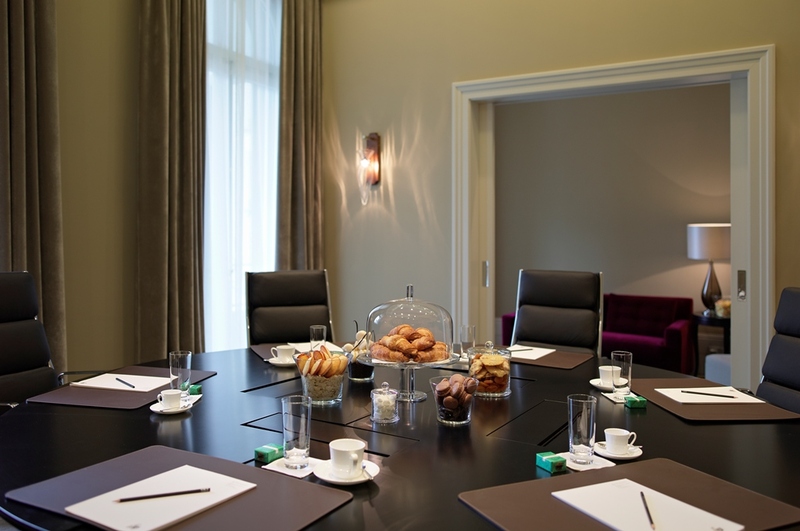 Confidential meetings or creative workshops are just right for these rooms. 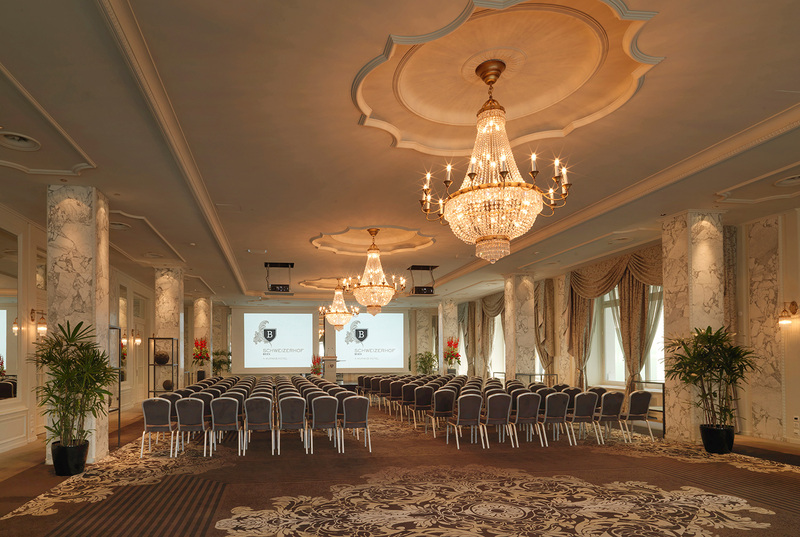 The Schweizerhof offers great infrastructure for your business occasion and also conference and event technology. This equipment includes a projector, screen, telephone, internet access, flipcharts and many writing tools. For your business event you should consider the attractive all-inclusive packages with overnight stays, food and drinks and access to the spa. In the end, you are not supposed to work at all times but also relax and enjoy your time! Your dream wedding becomes reality in the magnificent rooms and the elegant ambience of the Hotel Schweizerhof. No matter if you plan on celebrating with your family or host a big party inside the biggest ball hall “Salon Trianon” – you can find excellent service, high-quality catering according to your wishes and many beautiful backdrops for your wedding pictures in this historic wedding location. Start your honeymoon right here inside our hotel and relax after your long party in our wellness area. Special offers can be made for your wedding guests who want to stay overnight. From decoration to wedding cake and childcare: the well experienced event team will help you with your celebration and makes sure that your individual wishes will become reality. We are looking forward to your inquiry!